The story has been told so often it has taken on an air of myth. One day in the early 1970s, a retired pig and poultry farmer from Western Australia sat down at his kitchen table. While his wife made jam and encouraging noises, he began filling exercise books with episodes from his past. These tales, polished verbally over decades, were intended for his children and grandchildren to read and pass along. That work was not completed for some years, by which time the man was elderly, his beloved wife passed away. When the finished manuscript was sent off to Freemantle Arts Centre Press with a request that it be prepared for vanity publication – an edition of just twenty copies – the publishers saw potential in the book and produced a commercial run instead. 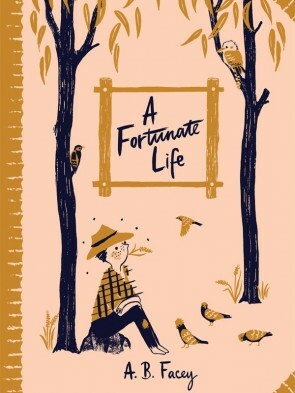 A Fortunate Life by Albert Barnett Facey finally appeared in 1981. The phenomenon which grew from these modest beginnings has become part of the book’s history. By the time of Facey’s death in 1982, A Fortunate Life had bought its author to national attention. He could scarcely have imagined, however, that three decades and three quarters of a million copies later the book would still be in print and regarded an Australian classic. If it remains fascinating today for its portrait of an ordinary bloke who lived through remarkable times, our enduring enthusiasm for it says something significant about us, too. Because our responses to the book have grown complicated. Though it records one man’s existence and a singular existence at that, Bert Facey’s life has come to be read as a universal tale — an Everyman’s progress through the peaks and toughs of a stormy century. Our idea of him has been cut to fit neatly with our current patriotic requirements, most potently those associated with the Anzac legend. Celebrated for the artless, yarn-like manner of its telling, A Fortunate Life is nonetheless a skillful and often sophisticated ‘literary’ artifact. Examination of Facey’s manuscript has revealed that the published work, long once thought to have been reshaped by editorial intervention, was in fact mostly true to the author’s original words. Facey the self-taught writer and reader had more tricks up his sleeve than we were willing to give him credit for. And the life described in its pages? While we have come to automatically regard Facey’s record as one that is archetypally ‘Australian’, the ongoing popularity of A Fortunate Life may actually be evidence of how far we have moved from the reality it outlines. To contemporary readers – overwhelmingly urban-dwelling, oriented towards the wider world rather than the Australian inland, the digital future rather than the analog past – Facey’s frontier upbringing seems impossibly exotic. He strikes us as the member of a tribe whose ceremonies and laws are revered in principle but no longer observed in practice. It is confusions like these that should return us to the book, to rescue the text from misreadings that have grown up around it and to hear Bert Facey’s testimony free from outside intervention. And what most of us will learn first on such an undertaking is the irony of the title: Facey’s life was anything but fortunate. Indeed his childhood as a poor and uneducated farm labourer was Dickensian in every respect save its dusty outback setting. Son of a father who died when he was a small boy and a mother who remarried and then vanished from his life, Bert was taken in by his doughty and dependable grandmother. And yet circumstances soon obliged her to send him off to work. At the age of eight, he moved to a nearby farm in the frontier districts of the Western Australian wheat-belt, and there he was effectively enslaved and physically abused by his employers. He eventually escaped, but even the improved employment he found in the following years consisted of hard physical labour in often hostile conditions, much of it done for a pittance. On Sundays, when we didn’t work much, I would often go into the bush and watch the birds and they were lovely. In some ways they were like me – they had to fend for themselves as soon as the mother bird thought that they were old enough. It is not the plain homily drawn from nature that catches the eye here; it is the word ‘much’ in relation to Sundays and work. That single syllable contains multitudes: all the other hours in his life which may not be devoted to family or education. The natural world is a kind of braille for the unlettered boy. Bert reads the landscape and its creatures as other children would read a book. And this landscape is one that would seem alien to contemporary readers. Facey grows up at the very edge of settled agricultural country. It is his hands that fell the trees, burn the stumps, wire the fences, plough the earth and shoot the dingos that threaten livestock. It is a world in which the full dominion of white arrivals over the environment has yet to be achieved. Indeed, there are times when the whole enterprise seems to hang in the balance. The subjugation of wilderness which we take for granted, indeed decry from a position of suburban comfort, is not just a matter of profit during these years; it is the difference between survival and starvation. Even Facey’s love of birdlife is shaped by his knowledge of which species are a terror on the crops. Of course, that battle very much includes that landscape’s original inhabitants. Though it goes unmentioned in the narrative, Facey is twelve years old when the Noongar people of his area are placed in a government reserve. The boy is raised on stories of black violence against whites and fears them. But when, in his mid-teens (having briefly moved back in with his mother and stepfather in Perth), Facey takes a job as a dogsbody on a droving run through Australia’s top end, it is the tribesmen and women of the region who rescue him after he is separated from the droving party during a storm. That act of kindness forever alters the Facey’s attitude. And here, as in so many other aspects of his story, there is a sense of a moral compass having to find North by its own efforts. Facey has never attended school. What limited literacy he possessed has been cribbed from a few borrowed textbooks. It is hard to imagine a less ‘mediated’ understanding of the world, innocent of the political or ideological currents of the day. Whatever sense of justice he has is cobbled together from the harsh empiricism of his daily life: the work he undertakes, the animals he cares for or works beside, the men and women whose conduct decides their worth in his eyes. I think it would be true to say that all the men who were at Gallipoli wanted to stay with their comrades. It wasn’t that anyone wanted to be a hero, its just that we were very close after four months together under such terrible conditions. A sort of love and trust in one another developed in the trenches. It made us all very loyal to one another. If there is a before and after in Facey’s life, the line should be drawn here. He loses two older brothers at Gallipoli, along with his health. The formerly vigorous, athletic, knockabout bloke returns shattered by his experience, though natural optimism and grit make up much of the deficit in animal robustness. In its quietly outraged account of the difficulties faced by returned servicemen, of their mistreatment at the hands of those who stayed behind as well as those in positions of political power, A Fortunate Life should be read alongside those other critiques of the conflict’s aftermath – George Johnston’s My Brother Jack and Hal Porter’sWatcher on the Cast-Iron Balcony – books whose questioning of the Anzac myth has been forgotten by a nation determined to celebrate the Great War’s unfolding centenary. Like many others, Facey is politicised by the war. As a tram driver in Perth in the years immediately afterward, he becomes involved with the trade union movement and develops a more sophisticated sense of the bifurcation between the haves and have-nots in Australian society. At a time when suspicions of unionism are greater than ever before, and their power to collectively bargain largely eroded, it is worth revisiting the early years of the movement. In it, we recognise a purer form of the egalitarian impulse we still claim to possess. Facey’s subsequent biography is quieter but it can still flare up on occasion. He loses a first family farm to the Depression and his eldest son to the Pacific theatre of the Second World War. And yet, of all these Job-like afflictions visited upon him, it is only early abandonment by a grasping mother seems to have left any trace of bitterness in Facey. At the tail end of a period of unprecedented national prosperity, domestic peace and material comfort it must be hard for contemporary readers to imagine how a man who suffered so much could view his life as blessed. The relative weighting accorded to different parts of Facey’s life offers its own set of clues as to why this is the case. We know that the book’s editors cut material relating to Facey’s later years, however the author himself swiftly passes through the long decades following WWI, leaping family generations in a paragraph. And where his boyhood and youth during the early Twentieth century are recalled with photographic exactitude (a recall so unlikely that we must return to Facey’s skills as a novelist to explain how he ordered memory into memoir) later periods seem to fade into sepia vagueness. Perhaps it is not only Gallipoli that should see as a line of biographical demarcation for Facey. The other signal moment in his life is the chance meeting with an attractive young domestic named Evelyn Gibson soon after his return to WA, in 1916. It was Evelyn who, in marrying Bert soon after, helped return the damaged returned solider to health. And even more importantly, it was Evelyn who rescued him from his orphan status. It was the birthdays that no one remembered or even knew about that stuck in the young man’s memory – it was the emotional privation of loneliness that etched those hard years so cleanly onto the page. But with his wife, mother of his children and dedicatee of A Fortunate Life, Albert Facey was finally able to dissolve his solitude in some broader domestic collective. It was not that he no longer remembered the past; it was that he no longer needed to do so alone.